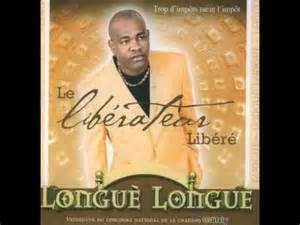 Cameroon Makossa artist, Longkana Agno Simon, known by stage name Longue Longue has been freed by French judicial authorities, national Bilingual daily, Cameroon Tribune quotes a correspondent of local TV channel, Canal 2 International in France. He had been serving a 10-year jail term by decision of the Bordeaux court of Appeals in 2010 for abusing a minor in 2005, charges pressed by his ex-wife. Born in 1973 in Douala, he has released several albums, amongst them “Ayo Africa” in 2001, which thrust him to the light. Pending administrative procedures, Longue Longue has been asked to leave French territory latest February 2015, the source concludes. Get yourselves a good life with these! What is a good life? Without getting too philosophical, I think a good life is only based on a few rules. There are too many rules in life. I’m told to stand up straight, act a certain way; don’t use the salad fork for the steak. A FORK IS A FORK! Every single day, I insert a reason to laugh. As children we laugh about 300 times a day. As an adult, that number is reduced to a meager 7. How did we go from 300 to 7? It’s pure, it’s fine, it’s sweet and sound, it makes you come alive! From He who knows the end from now, the One; the all-seeing! It lived and toiled, went back to dust, bust simply could not rust! From when we know we now believe, we make her glow alive! 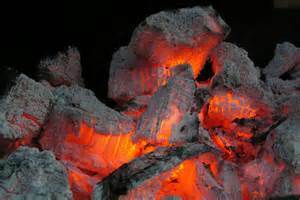 The ember dust, the glowing alp that knows our Zee from Ey! It is the plane that plains our pains, it knows the squirmy bay! It stretches up the high and low, the glow kicks out the grey! From when it glows, it blows and grows, it glows our everyday! She wobbled, more than walked! Her feet were at least 17 inches long; her name was Fannie Mills. The petite woman weighed 52.27kg and wore size 30 shoes of the epoch, made from three goat skins, and pillowcases used as socks. “The Ohio Big Foot Girl” was born in Sussex, England either in 1859 or 1860 to English migrants who settled near Sandusky, Ohio. 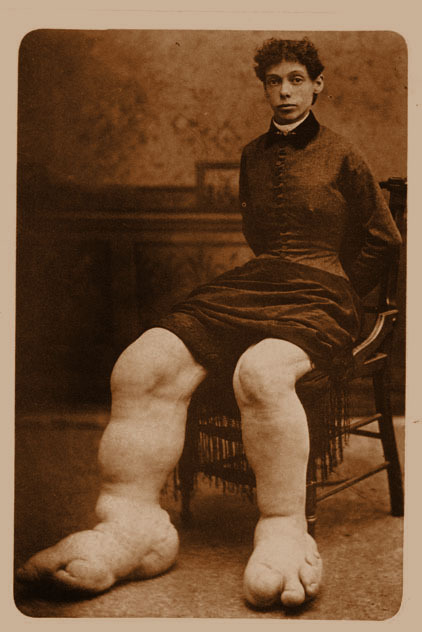 Fannie had a condition known as Milroy Disease, which caused her feet to grow to an abnormally large size. 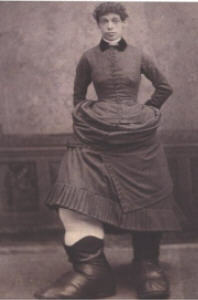 The family believed her illness resulted from a “maternal impression” when Mr. Mills, her father, made the pregnant Mrs. Mills wash the swelled leg of a horse. Her career began in 1885, when she entered the museum circuit, accompanied by a nurse, Mary Brown. 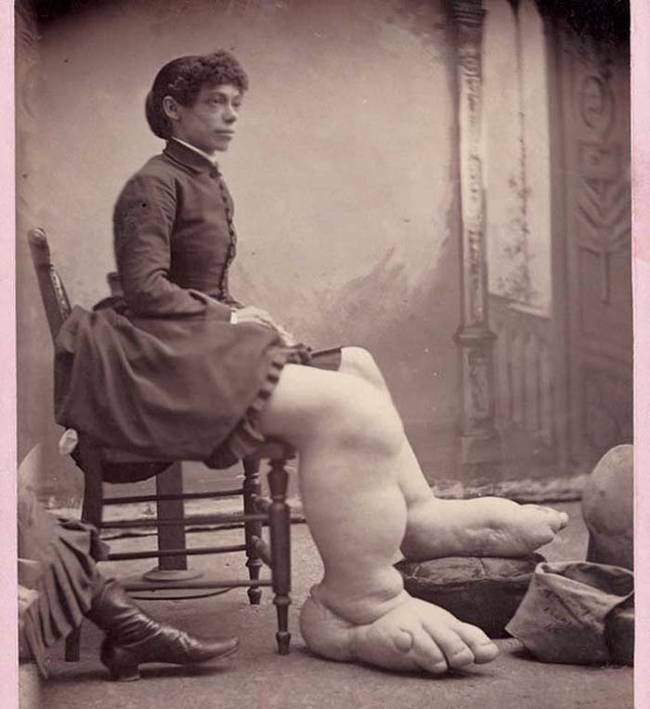 After the offer of $5000 and a “well-stocked farm” to anyone willing to marry the big-footed girl, she eventually married Mary’s brother, William Brown. Each foot was said to be 7 inches wide, though photos prove else. 46-year old William wedded 26-year old Fannie in late 1886 and by August 1887 Fannie was delivered of her stillborn child. Milroy disease is a condition that affects the normal function of the lymphatic system. The lymphatic system produces and transports fluids and immune cells throughout the body. Impaired transport with accumulation of lymph fluid can cause swelling (lymphedema). Individuals with Milroy disease typically have lymphedema in their lower legs and feet at birth or develop it in infancy. Fannie got out and about with her family and became well-known. The lymphedema typically occurs on both sides of the body and may worsen over time. Males with Milroy disease are sometimes born with an accumulation of fluid in the scrotum (hydrocele). Males and females may have up-slanting toenails, deep creases in the toes, wart-like growths (papillomas), and prominent leg veins. In 1899 at age 39, Fannie Mills died “of an abscess” and was buried in Oakland Cemetery in Sandusky. William Brown, lived up to 70, and died in 1904 of cancer.